Coffee, almond and caramel, yum! 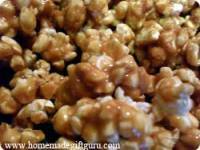 I'm a big fan of a good caramel popcorn recipe... in fact, I share my recipe for original caramel popcorn here, plus several tips for making caramel popcorn with ease. 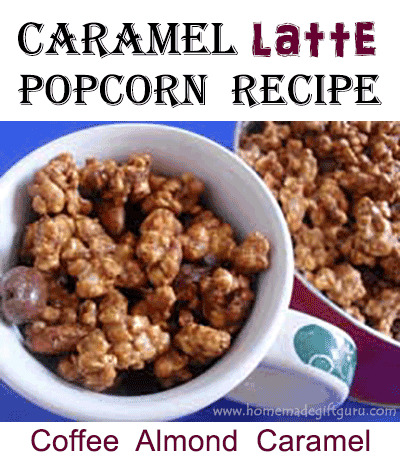 This caramel popcorn recipe is for coffee lovers! It makes a unique caramel popcorn enhanced with coffee, lots of almonds and almond flavor plus a gourmet chocolate surprise. I've seen coffee lovers go ga ga over it. 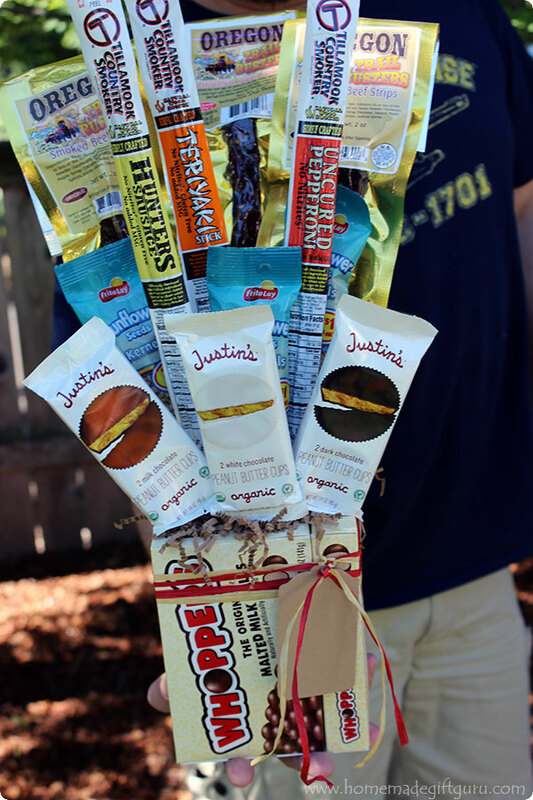 In addition to simply giving this popcorn gift in a cute tin or perhaps a cute homemade canister, it's a perfect fit for any coffee-themed gift basket. Note... Since it has real coffee in it, you will of course want to avoid giving it to children. 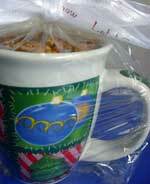 Crunchy caramel popcorn flavored with coffee and almonds, yum! 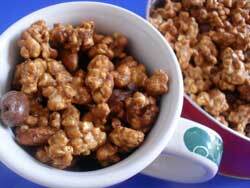 Plus this caramel latte popcorn recipe has a lovely chocolaty surprise... chocolate covered coffee beans. If you've never made caramel popcorn before, feel free to check out these handy caramel popcorn tips. Important Safety Warning: Caramel popcorn can be great for kids to eat, not to make. The extremely high temperature of the caramel and the caramel popcorn makes it very dangerous for children. Adults should be very careful to avoid touching hot caramel and hot caramel popcorn when making, mixing and baking caramel popcorn. Coffee gift baskets and coffee flavored food gifts make particularly great homemade gifts for co-workers, homemade gifts for teachers and homemade gifts for friends... or anybody who loves coffee! After making this caramel popcorn recipe and allowing it to cool, you can package your caramel popcorn in something air tight, such as a sealed cellophane bag, a gift tin or an air-tight homemade canister. 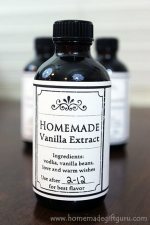 You can wrap some of your caramel popcorn up air-tight, and place it in a gift basket with some other coffee-themed homemade food gifts... such as a small bag of gourmet coffee, a coffee mug and perhaps some of this homemade Kahlua coffee liqueur for a cute homemade gift basket. 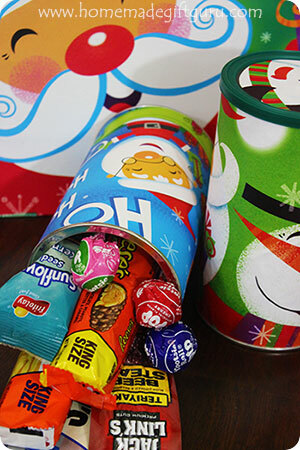 These Little Potted Candy Arrangements are a SWEET way to say Thank you!